Due for a new BMX Sprocket? The 90East crew have released their new F1 Sprocket for you to check out. The F1 sprocket is made from 7075-T6 aluminum and is designed to look like an F1 racing wheel. You can find a 22mm bore with 19mm and 22mm spindle spacers and a laser etched logo. The 90East F1 Sprocket comes in Matte Black Anodized with 25-tooth and 28-tooth sizes available. You can pick one of these up for $50 in the 90East webstore now! Available in 25-tooth and 28-tooth sizes. That’s a look at the sprocket. Do you have any questions? Let us know what you’re thinking in the comments below! Not quite what you are looking for? Check out more BMX Sprockets here! “The 90East S 2017 release is now available. First we have the BTD Tee which is available in short and long sleeves. The graphic is inspired by the Boston Transportation Department trucks that can be seen around downtown Boston. For outerwear we have a new lightweight windbreaker which is perfect for cool summer nights and is also water resistant. We also have the YC Cargo Shorts which were inspired by the Youth Crew movement of the late 1980’s and feature a woven label designed by Jake Frost. For headwear we have the Tonal polo cap which features the 90East logo embroidered in the same color as the cap for a subtle look. Finally we have the Revere Mesh Shorts which feature a logo graphic printed on Champion brand shorts, perfect for the hot summer days. 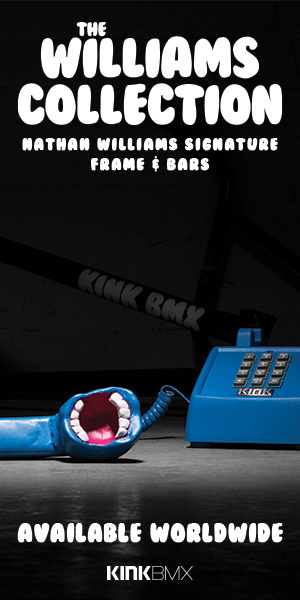 Also now available are the HNIC V3 Handlebars. The V3’s are 8.85” tall, 28” wide, 4 degrees upsweep, and 10 degrees back sweep. This new version features thicker wall tubing around the stem clamping area to prevent breakage thats commonly associated with 4pc bars. The bars are available in an ED Black coated finish or a Phosphate dipped Raw finish. You can take a closer look at all of the new shirts, hats, jackets, shorts and bars RIGHT HERE on the 90East Website! The 90East crew coming through with their latest range of apparel! They have everything from new hats and t-shirts to hoodies and windbreakers! Above is a look at only part of the line. You can take in the full range right here! How many times have you been out hunting spots when you spot something from a distance, to roll up and find out this gem has been capped with skate stoppers? How many times have you looked at those skate stopped spots and realized what separates you from riding the spot is two screws that have a weird bit head that you haven’t seen before and you definitely don’t have in your tool kit? Well, you’re in luck because 90East have their new Skate Stopper Kit that features a 3/8″ socket driver with six attachments for the most common style of screws used on skate stoppers. You can pick this up for $10 direct from the 90East webstore now. That should help you get back to grinding pretty quick… and leave somebody super confused as to how “those damn kids” were able to get past their high tech anti-riding devices, haha. 90East have released the second version of their H.N.I.C four-piece bars. The H.N.I.C V2 bars are made from multi-butted, heat-treated 4130 chromoly tubing with an 8.85″ rise, 28″ width, 4-degrees of upsweep and 10-degrees of backsweep. 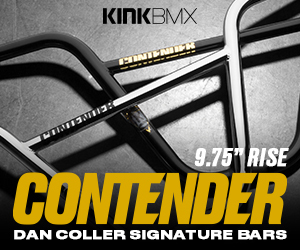 These bars are clean and simple with a small 90East logo etched into the tubing that is covered by your grips. They come in black only and are available for $65.00 direct from the 90East webstore.